Whether your interest is auto-crossing, show-n-shines, drag racing, summer night cruises, help with technical questions, or just getting together with good people who share common interests, the Bay State Corvette Club has something to offer you. Bay State Corvette Club (BSCC) is a Member of the National Council of Corvette Clubs (NCCC). Guests are always welcome at any of our events. BSCC is a diversified club with a rich history. We were established in 1969. We currently have about 65 members. We have many social functions, including cruise nights, bowling nights, movie nights, an anniversary party, a fall foliage cruise, and a holiday party. 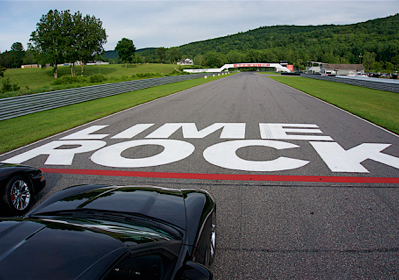 Each year the club sponsors 4 autocrosses, a Dyno Day, participates in drag racing at New England Dragway and Lebanon Valley Dragway. 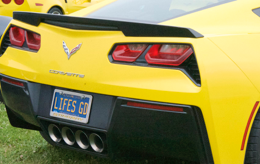 We actively participate in various Corvette/specialty car events throughout the year. Our club offers a little of everything for everybody in Eastern and Central Mass. We also have members from neighboring New England states, not just Massachusetts. Our club holds monthly meetings usually at 6:00PM at Restaurant 45 in Medway, Mass. Prospective members are encouraged to attend a BSCC meeting and find out more about us and our club. Most members are accompanied by their partners at these meetings, and at all other club events. Welcome to the Bay State Corvette Club! The Bay State Corvette Club is based in Massachusetts USA, and has Members from all parts of the New England area. We are a Member Club of the Northeast Region (NE) of the National Council of Corvette Clubs, Inc. (NCCC) and participate in the sport of auto-crossing, host show-n-shines, do some drag racing, share summer night cruises, help with technical questions and much more! Our Members may enroll their under 16 year old family members in The Future Corvette Owners Association (FCOA).